Where I went to high school, we had a motto: “Straight as the pine and sturdy as the oak.” On Sunday August 2, that school and much of the surrounding Glen Lake area was covered in pines and oaks and many other trees that could only be so strong and could only stand so straight for so long. 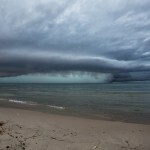 The Leelanau School and Glen Arbor were hit by a severe storm, with winds of 100 miles per hour reportedly pummeling the sleepy town next to Sleeping Bear Dunes National Lakeshore at the height of the summer tourist season. Fortunately, after five 12-hour days spent climbing and cutting in the ground zero of this cataclysm, I can comfortably say that the people affected and those responding are still strong and can move straight forward on a path to restore our way of life—trees were lost, but there were no losses of life during this severe-weather event. With good teamwork and sound decision-making during this aftermath stage, so many people are doing valuable work on the ground and in the trees. By nature, I am a tree climber; by profession, I am a forester. From a young age, I have appreciated forests and the valuable services that trees can provide for people. Now, in my adult life, I have chosen to promote future forests, both rural and urban, which will maximize benefits to people and minimize costs. 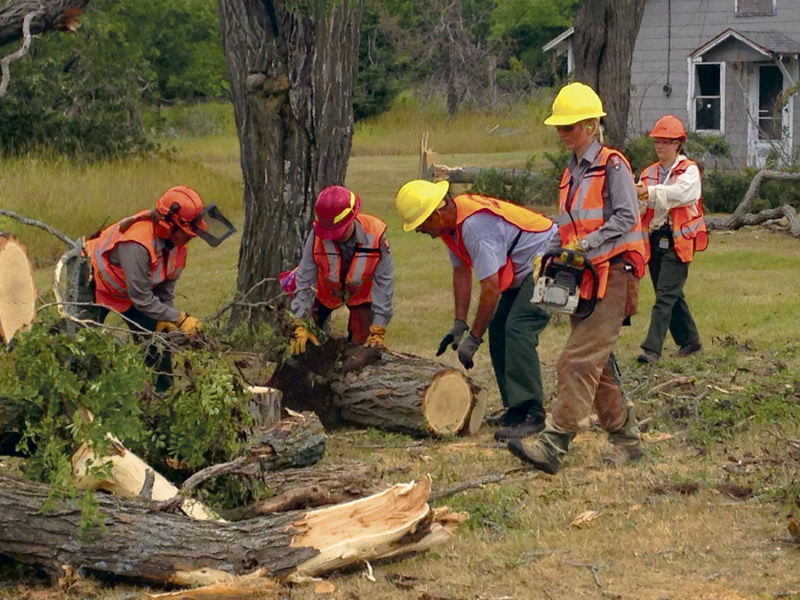 So when this storm left a barrage of tree-related problems in its wake, I—along with so many other foresters in the five-county area—descended on the scene to help out. Though it’s certainly important for us to deal with the storm damage, we also need to recognize that what we decide to do after is just as important. For the places that were most affected by the recent storm, the first task at hand should be safety: roads must be unobstructed, hanging branches must come down, and power lines must be cleared. All of this work should be done by people who—regardless of experience level—utilize protective equipment and procedures; people who are self-aware enough to not push the envelope beyond the threshold of their resources and capabilities. But after safely cleaning up our streets and residences, how do we move straight forward toward a strong future for our forests? To start, we can remove the timber, pulp, firewood, and other forest products that can be salvaged. However, not all debris needs to go—in areas where debris does not impede aesthetics or recreation and does not present a fire hazard, nutrients can be returned to the soil and other services can be provided by trees, post mortem, if some material is left to rot. For instance, some logs of hemlock, white pine, and other species that may not be worth removing could be left to serve a greater purpose. As they decay, these “nurse logs” retain moisture and can provide a site for seedlings of hemlock, white pine, yellow birch, red maple, oak, and others to regenerate. In some forests, it can even be advised that large treetops be left. These natural structures can serve as a functioning labyrinth of limbs in which deer would be vulnerable to predators and thus discouraged from feeding on seedlings. However, species that were already in danger before the storm should be removed. 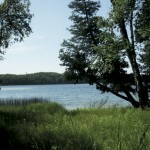 In the Palmer Woods Forest Stewardship Plan that was written earlier this summer for the Leelanau Conservancy, there was mention of restoration activities which would take place following salvage harvests of ash and beech, both of which are threatened from emerald ash borers and beech bark diseases, respectively. Now with even more to salvage because of the storm, there will be more areas ready for these activities—in the large canopy gaps that were created by the storm, the plan will be to remove the ill-fated beech saplings and seedlings, which have become plentiful as they have been ignored by deer but will likely be killed later, as they mature, by beech bark disease. By removing a large portion of the young ash and beech trees, we can encourage the growth of other species that can be expected to survive long enough to reestablish the forest. Also, with a large amount of the forest now cleared, planting seedlings and installing devices to protect against deer could be an option in order to further enhance biodiversity in our forests. After what debris we must tackle is removed and after whatever is to be left to the forest is left to the forest, we must embrace this concept: the ball is in our court! In other words, we have the option to control what grows back. So what species should we replant with? Whether it’s in the middle of the woods or in our own yards, the candidate tree species should be native to North America, have a history of coexistence with the species that are currently present, and have a history of growing to reproductive maturity in our area without becoming noxious or invasive. In species selection, favoritism should also be given toward those species which are not susceptible to any of the handful of invasive pathogens that are currently moving through North America, such as Asian longhorn beetle, oak wilt, hemlock wooly adelgid, or thousand canker’s disease, to name just a few. Good candidates could include Tulip poplar, shagbark hickory, white oak, bur oak, sassafras, or mulberry. Some of these are available during the Benzie Conservation District seedling sale, but they can also be purchased from a number of wholesale nurseries such as Cold Stream Farm in Freesoil, Michigan. Bare root seedlings are generally the best method for planting on a large scale. These seedlings are harvested in the early spring, while they are still dormant and can be planted with minimal stress on the tree. Also they are cheap—most trees can be purchased for close to $1 each, and they can be planted on a large scale at about eight feet of spacing between each tree, thus ensuring some successful individuals while allowing for some mortality, as nature will surely provide. Feature photo: Sawyers at the Sleeping Bear Dunes National Lakeshore work to re-open Glen Haven following the megastorm. Photo by Merrith Baughman, National Park Service.